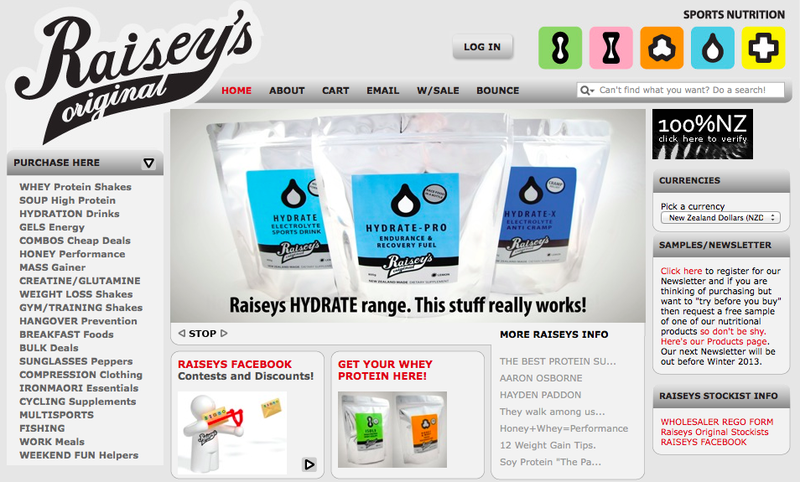 Use the code ‘Aaron’ when purchasing any of these Raiseys Sports Supplements and receive a 10% discount!!!! Athletes need energy! Raiseys Originals new BOOST is a high performance sports gel that draws on nature for its active ingredients. Honey has a proven history of providingincreased and sustained energy for athletes and contains natural simple sugars fructose and glucose in just the right mixture. BOOST balances these with complex carbohydrates and electrolytes to help achieve enhanced performance and fatigue reduction. In every BOOSTube theres 70g of smooth, delicious honey gel in an easy to dispense tube that has a snap cap lid so that your fingers (and pockets) aren’t going to get all sticky. You can consume BOOST at whatever rate suits you and then just pop the tube back in your pocket and dispose of properly after you have finished. To get the maximum BOOST effect, consume 35g (approx half a tube) 10 minutes before you hit the next hill, run on to the field, climb into the ring, or whatever challenge you face. 70g (one tube) can last up to 90 minutes activity. Dont forget to drink plenty of water or Raiseys OriginalHYDRATE to keep you hydrated. So if you want a sports gel that will kick your performance and not your stomach….GIVE YOURSELF A BOOST! Available in 800g and 2.5kg foil zip top bags. FAST – HYDRATE combines electrolytes and carbohydrates (an ideal 7.5%) in a refreshing, great tasting sports drink that is absorbed by your body faster than water alone. EFFECTIVE – A scientifically balanced formula ensures that electrolytes lost in sweat are restored, fluid is replaced and glucose is provided for your body’s immediate energy needs. If you’re an athlete or if you work hard at your job, HYDRATE can work for you. HYDRATION – HYDRATE contains sodium, the main electrolyte lost in sweat, required for rapid and complete re-hydration and fluid retention. PEAK PERFORMANCE – Sports nutritionists from the New Zealand Academy of Sport say to perform at your best you must stay hydrated,as a fluid loss of only 2% of body weight by dehydration can reduce your performance by 10 – 20%. SHARPER FOR LONGER – Electrolytes sodium and magnesium help you avoid cramp, and carbohydrates help sustain energy during intense exercise. All so you can maintain your motor skills and stay mentally sharper for longer – international studies indicate athletes can stave off fatigue up to 37% longer! Powerful muscle-building protein formula with Taurine. Ideal for body builders to increase muscle mass and bulk. Made in New Zealand. Click on the title or the picture for more product and nutritional info. FREE SHIPPING WITHIN NEW ZEALAND. BUILD a hard muscular physique and recover quicker with this powerful muscle building formula that utilizes 2 different proteins. NZ Fonterra Whey Concentrate for rapid protein absorbtion and Soy Isolate for cholesterol lowering and Thyroid stimulation. BUILD is less than 3% fat and also has 800mg Taurine per serve. Taurine is known to be excellent for a healthy heart, fat burning, an energy boost and a powerful antioxidant. If Taurine levels are low then that can mean a reduction in Nitric Oxide levels. BUILD is 41% protein and 46% carbs so its ideal for anyone who wants to gain weight, size, mass, whatever you want to call it, particularly younger and off season trainers. Its also an ideal recovery shake for endurance athletes. BUILD is available in 800g, 1.25kg and 2.5kg b-dub (2 x 1.25kg bags) zip top foil bags. Protein Performance Food for health lovers – a combination of high quality New Zealand whey protein with native rewarewa honey, and boasts low levels of fat. Click on the title or the picture for product and nutritional info. FREE SHIPPING WITHIN NEW ZEALAND. Women’s dairy free soy protein formula to shape and tone your body. Made in New Zealand from premium quality soy protein isolate. Click on the heading or the picture for more product and nutritional info. FREE SHIPPING WITHIN NEW ZEALAND. Women’s low fat protein formula to shape and tone your body. Made in New Zealand. Click on the heading or the picture for more product and nutritional information. FREE SHIPPING WITHIN NEW ZEALAND.